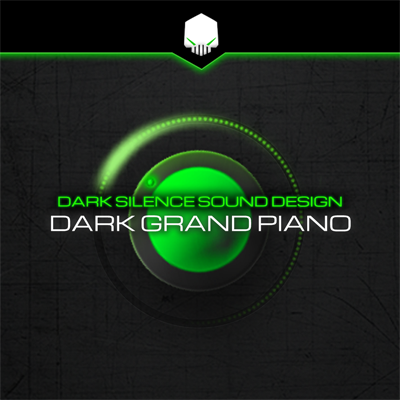 Dark Silence Sound Design presents The Dark Grand Piano featuring 150 new piano styles at your fingertips. The Dark Grand Piano is our first instrument for the Native Instruments Kontakt platform. The dark grand piano will breathe excellence right into your project with 150 piano style presets to choose from. A true one of a kind powerful simplistic digital piano instrument. This is the piano instrument you have been dreaming about. The dark grand is a 85-key grand piano from the early 1920's. Recorded using special mic methods to really capture the character and essence of this grand piano. Ranging from cinema style pianos to scary spooky distant tones to warm grand piano sounds to out of this world piano sounds, etc. "The goal was to create an Instrument that can be used by all ages and all walks of artists for any style or genre. When we were creating the dark grand piano, we wanted it to be very simple that even a child or advanced pianist can figure it out very quickly. We wanted to have all the options needed to carve out a perfect piano sound, on one individual page. The double reverb combined with the eq and distortion is where you can really bring out amazing tones and character out of the dark grand." This piano instrument is geared towards the new artist or the advanced pianist. The simplicity in the one page GUI design of the dark grand is really where it shines. Giving you the controls you need and access to them right away. We created the dark grand for anyone who desires that lush warm vibrant grand piano sound or that dark eerie tone. Recording or playing live the dark grand piano delivers visually and sonically. The dark grand and its ease of use make it easy for anyone of any age to start playing. Whether you are a regular piano player or it is your first time behind the keys. 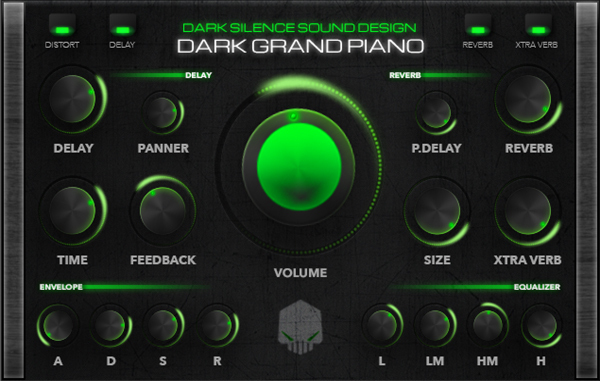 The dark grand makes it incredibly simple to get an amazing piano sound into your project within seconds.